A Millsboro officer poses for a photo with graduates of their Business Academy on Tuesday, Nov. 13. 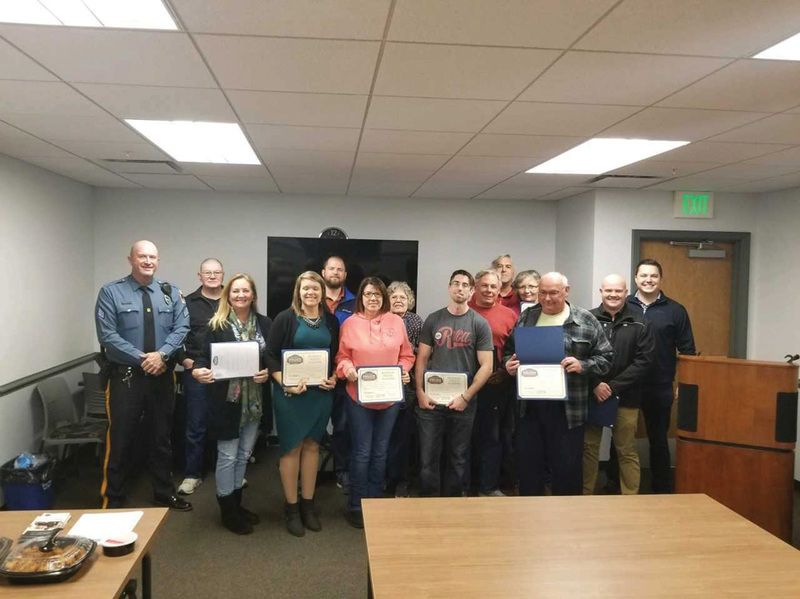 Participants in the four-week class received instruction from various members of the Millsboro Police Department on topics that included how to avoid becoming a victim of a crime, and participates were given an inside look on how crimes are investigated. Additionally, the program provided instruction on the opioid crisis, and its impact within the workplace. The class concluded with instruction on civilian response to an active shooter. Business who participated in the program included: Chick Fil-a, Baker’s Hardware, Rocky Pizza, Kim Benton–State Farm, Lowe’s, Gun Shooter Enterprise, Lighthouse Christian, Bay Shore Community Church, Art of Refugee feeding ministry and D&D Stained Glass.